I recently saw this cemetery. It’s for the sisters of Mount Sacred Heart in San Antonio. I loved it and thought it looked like a cemetery right out of a video RPG. It was small and every grave looked identical. 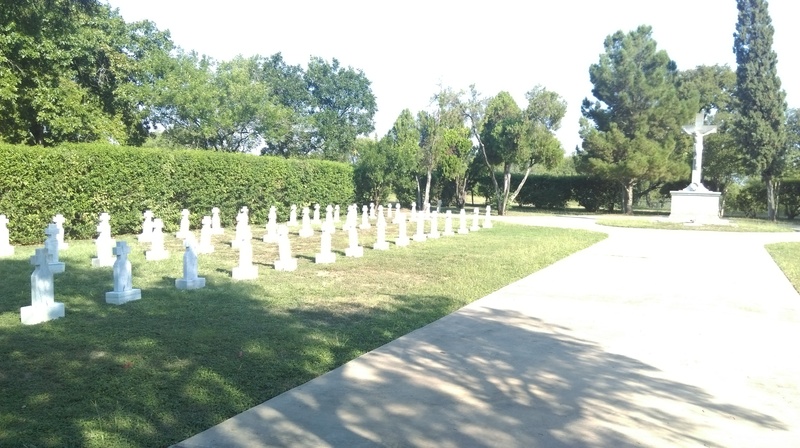 It was like it wasn’t a real cemetery, just a few pixels used to represent a real one. May the souls of those buried there and all the faithful departed rest in peace, Amen.